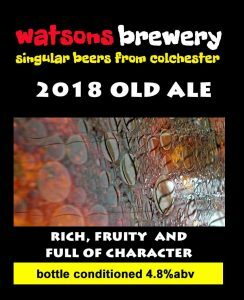 The 2017 Old Ale went down well rating 3.77 on untappd. This year I tweaked the recipe and brought the ABV down to 4.8%abv. The single cask of this is off to the South Benfleet Social Club in late November. Bottles available shortly.